The Kamloops Courthouse Gallery is located inside the historic Old Courthouse. Built in 1910, the redbrick building houses locally made paintings, glass art, pottery, sculptures and fibre art. Talk with a member artist and browse the gift shop for a unique present for your partner. Hours: Tuesday to Friday 10 a.m. – 5 p.m., Saturday 10 a.m. – 4 p.m. 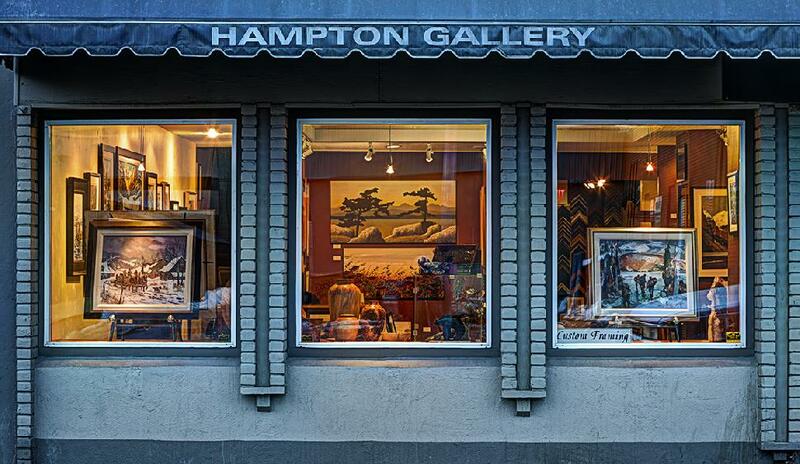 The Hampton Gallery is a downtown gallery where customers can purchase (or dream of purchasing) original artwork. Their boutique gallery has a large selection of fine art pieces from 40 national artists. 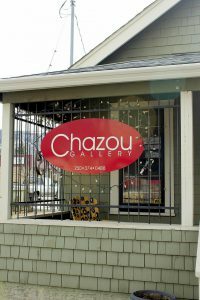 Hours: Monday to Friday 10 a.m. – 5 p.m., Saturday 10 a.m. – 4 p.m.
Chazou Gallery is a unique little art gallery owned and operated by artist Tricia Sellmer. The private gallery features cutting-edge contemporary artwork. Drop in for an open house or set up an appointment to view the current exhibition. The Art We Are Artisan Market regularly hosts guitar-wielding, banjo-strumming and piano-playing musicians Saturdays at 7 p.m. The folk/alternative/reggae music mixes aptly with their daily vegan soups, organic French press coffee and comfy couches. Hours: Monday to Saturday 9 a.m. – 9 p.m.
Zack’s Exotic Coffee, Teas and Gifts serves tea with tunes two to three times a month. Touring bands play everything from indie rock to country to punk. Check the posters around town for upcoming shows. Hours: Monday to Friday 7 a.m. – 8 p.m., Saturday 8 a.m. – 8 p.m. Open late on show nights. Sunmore Ginseng Spa combines Eastern and Western healing in five private suites that incorporate the elements: Gold, Wood, Fire, Water and Earth. Couples can choose two of the 3-hour packages to unwind into harmonious relaxation, revitalization and rejuvenation. 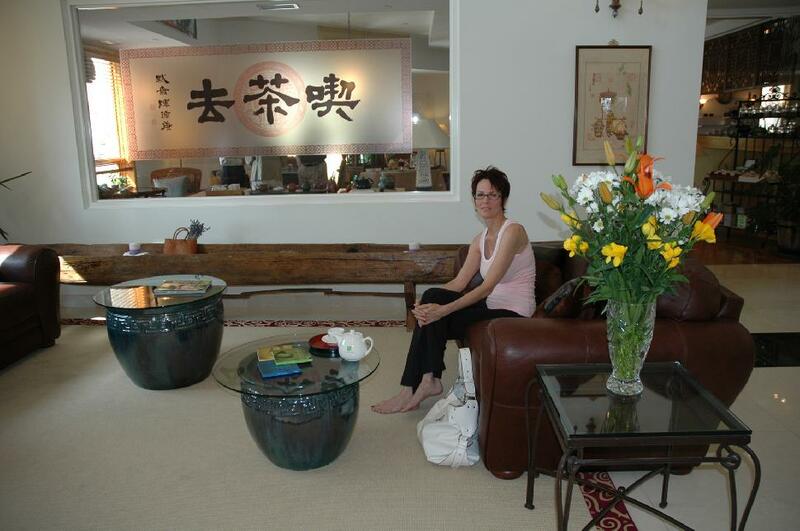 Aina Organic Spa is a place of balance, wellness and quiet relaxation. 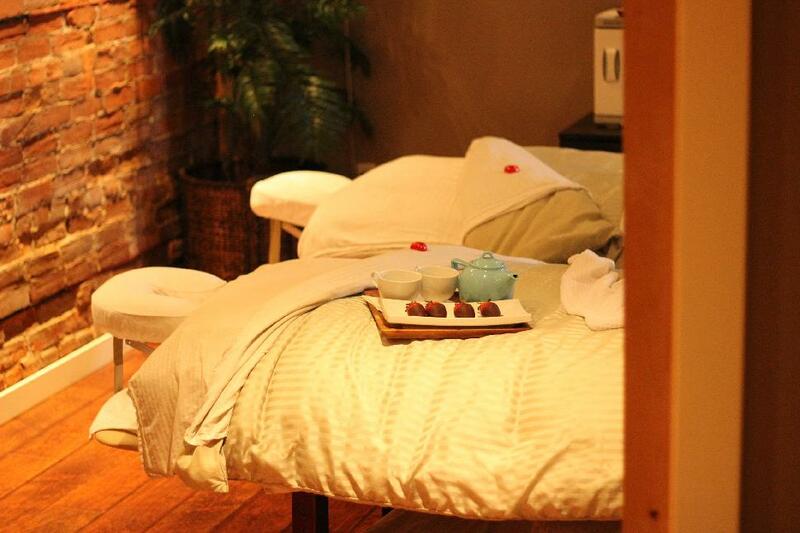 The couple’s package includes a private foot soak and a 60-minute massage with hot stones and aromatherapy. Indulge in chocolate-covered strawberries and tea as you’re pampered with your significant other. Hours: Wednesdays and Thursdays 9 a.m. – 9 p.m., Friday through Tuesday 10 a.m. – 6 p.m. Scale around corners, sneak into caves and test your footing at Cliffside Indoor Climbing Gym. Prove how much you trust your partner by belaying them or take a two-hour climbing lesson together ($45/person). Price: Drop-in Adult $16, Student (14+) $14, Youth (6-13) $12, Tot (6 and under) $6. Note: rental equipment is not included. Hours: Monday to Friday 2 p.m. – 10 p.m., Saturday and Sunday 10 a.m. – 8 p.m.
Who says you need to leave town to get away? Book a B&B along the river and stay in together. 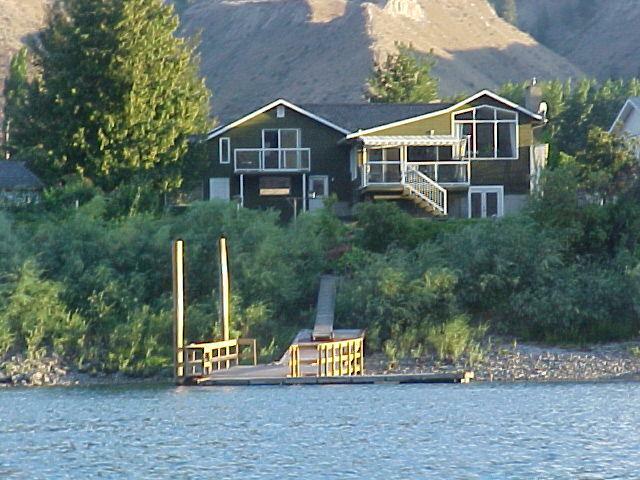 Riverside Bed and Breakfast is a waterfront property with four guest suites to choose from. Watch for wildlife from the property’s private dock and soak in the outdoor hot tub that overlooks the South Thompson River. Riverside Park is nestled between Lansdowne Street and the Thompson River. Listen to buskers, lay out a picnic or join a basketball game on the concrete riverside courts. The park is open year-round and maintained by the City of Kamloops (Parks Operations). Hours: Daily 10 a.m. – 8 p.m.
Named after a former mayor, Kenna Cartwright Park has over 40 kilometres of sloping dirt trails to suit beginner to intermediate mountain bikers. The park is open year-round and is maintained by the City of Kamloops (Parks Operations). The Rivers Trail is an urban pathway that runs along the Thompson and North Thompson River for 40 kilometres. Blade, cycle, or run across the Overlanders Bridge and loop around McArthur Island Park. The trail extends all the way to Kamloops Lake. There is a dog-friendly route for those exploring with their canine. 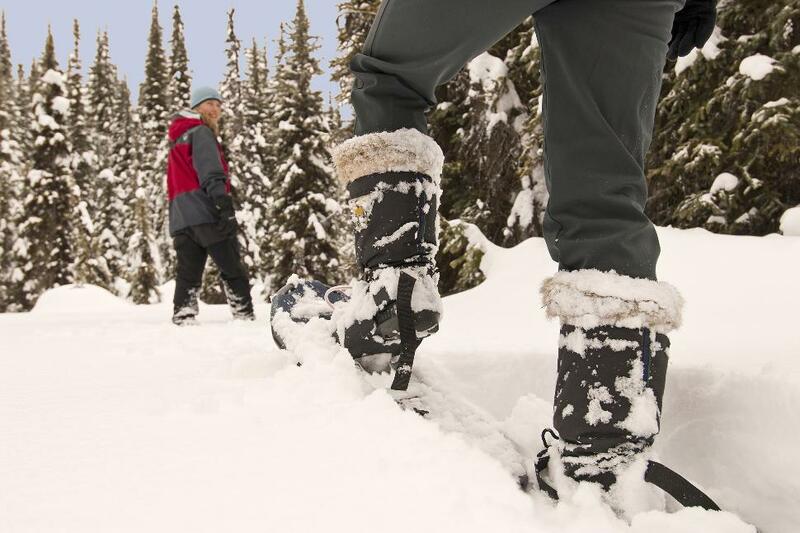 The Stake Lake Trail has 13 kilometers of snowshoe and Nordic ski trails. Rentals are available through the Overlander Ski Club for $10 (on premise) or $20 (off-premise). The day lodge, rentals and restrooms are open daily. Hours: Monday to Sunday 8 a.m. – 9 p.m. Although Kamloops has 13 immaculate golf courses to tee off at, a more unique date idea is Frisbee golf or FootGolf. 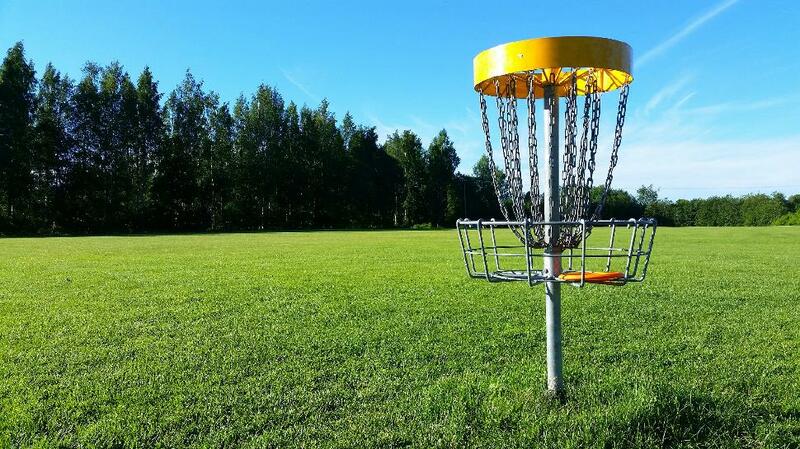 Rose Hill West is B.C.’s longest disc golf course, featuring 18 holes with both Pro and Am tee pads. Sun Rivers Golf Course combines the sports soccer and golf to create an 18-hole FootGolf course that shares the same stunning views as their regular golf course. 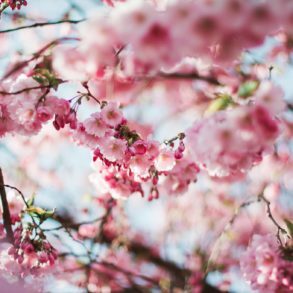 Hours: Thursday to Monday after 3 p.m.
Enroll in a personalized group workshop with Kamloops’ best-known landscape photographer, Kelly Funk. Classes require a minimum of 4 participants and run Sunday mornings, meeting at Thompson Rivers University. Exposure runs photography courses that can last up to 15 weeks. Classes are designed for beginners. 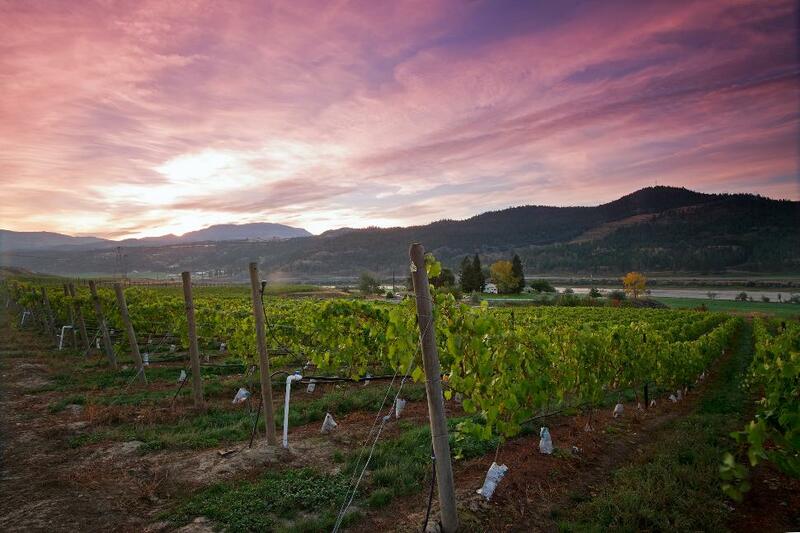 TasteFull Excursions runs half- and full-day tours along the Kamloops Wine Trail. Wineries included are Monte Creek, Harper’s Trail and Privato Vineyard. The full-day option includes a river crossing via McLure Ferry as well as a stop at BC Wildlife Park. Tours run year-round—check the website for a current schedule. Instead of taking the bus through town, navigate your way through Peterson Creek Park. The semi-secluded hills are the perfect example of urban hiking. The trails can be quite slippery in some spots, especially in the winter, which just gives you an excuse to hold your date’s hand. Take a late-afternoon horse drawn sleigh ride through Sun Peaks Resort. Cozy up beneath a blanket as you are pulled through the village at a leisurely pace. Private sleigh rides are offered upon request for $195 for a party of four. Hours: Tuesday to Thursday 3 p.m. – 7 p.m., Friday to Monday 3 p.m. – 8 p.m. If you’ve got all day for a round-trip road trip, drive north to Crazy Creek Hot Springs. Spend the afternoon hopping between naturally steamy pools that vary from freezing cold to extremely toasty. Crazy Creek Waterfalls are visible from the hot springs and suspension bridge. If you’d like to stay awhile, there are nearby camping, hotel and resort accommodation options. Hours: Daily 11 a.m. – 8:45 p.m. Whether you’re craving a lazy day float on an inflatable tube, an afternoon racing across the water on a river boat or a free crossing on the cable-propelled McLure Ferry just north of Kamloops, spending a day on the water with your significant other is a great way to get outside and enjoy the day. All you need is a GPS device/mobile phone and a sense of adventure! There are over 1,000 geocaches hidden around the Kamloops area. If you take something, remember to leave something of more-or-less equal value for the next treasure-hunters that come by. Coordinates can be found on geocaching.com. Basic membership is free. Take a self-guided Downtown Cultural Heritage Walking Tour to learn something new about the city with your partner. There are two different routes packed with history, art and points of interest. You can go at your own pace and stop for coffee when necessary. Pamphlets are available for free at the museum. Sunday and Monday nights are “Twoonie Night” at Bowlertime, the 5-pin Open Play centre with an adjacent pool room. The fully licenced, old-school alley is attached to the Dirty Jersey Sports Bar & Grill. 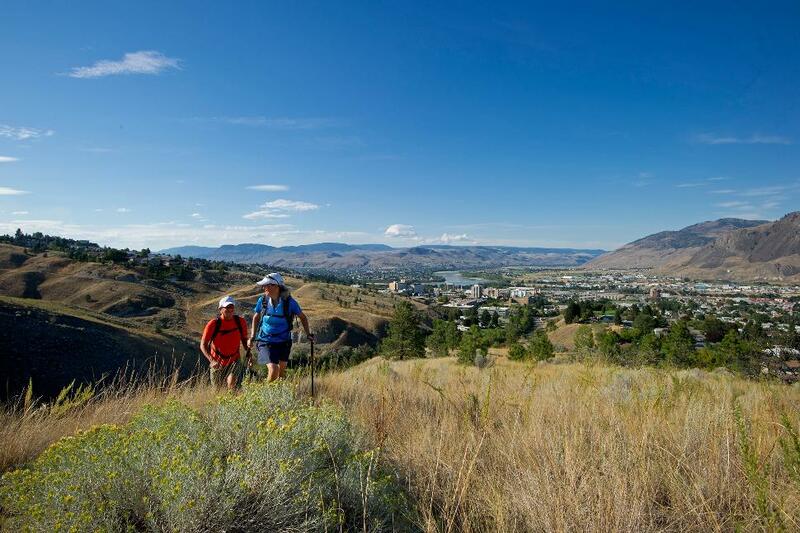 Hours: Sunday and Monday 5 p.m. – 10 p.m.
Fresh air, steep hills and an ascending heartbeat are always freely available in Kamloops! 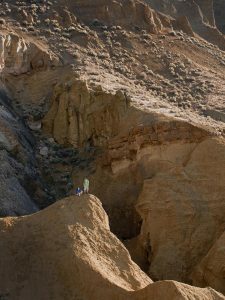 For a unique view, explore the Hoodoos, one of the region’s wonders of erosion. The orangey-red sandstone structures spiral up from the side of Cinnamon Ridge, west of Kamloops Airport along Tranquille Road. The City of Kamloops hosts unique cooking classes at local schools on select afternoons and evenings through the winter. 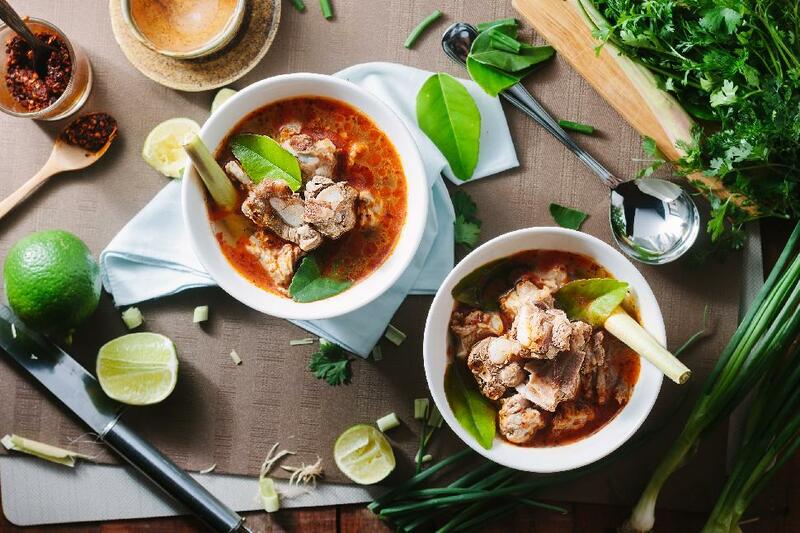 Discover traditional Thai food, gluten-free baking or compete against another couple for “best cook” bragging rights during a three-course “Date Night” dinner preparation. Pre-registration is required. 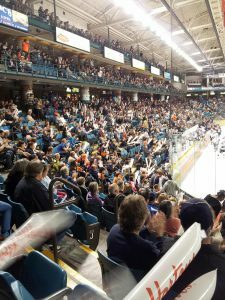 Cheer for your favourite teams at a local Blazers or TRU Wolfpack hockey, volleyball, basketball or soccer game. Place your bets before the game begins—losers buy the first round! Every second Wednesday of the month, Red Collar Brewing teams up with the Kamloops Art Gallery for a Drink & Draw event. Six tables are shoved together and covered with blank canvas and raw art materials for customers to create a masterpiece on as they sip craft beer. Hours: Tuesday to Wednesday 4 p.m. – 10 p.m., Thursday to Friday 3 p.m. – 10 p.m., Saturday 1 p.m. – 10 p.m. Attend a “Learn to Curl” session with the McArthur Island Curling Club, cheer on the curlers at a scheduled bonspiel or drop-in for a casual game. No preliminary skills required! Team-up for a game of laser tag at the Fun Factor Family Centre. Play couple against couple, or make things interesting by facing off against your significant other. Hours: Monday to Thursday 11 a.m. – 10 p.m., Friday and Saturday 10 a.m. – 11 p.m., Sunday 10 a.m. – 10 p.m.